We will let you discover one of the vegetables that is the symbol of the Treviso area and the first in Italy to get, back in 1996, the IGP quality logo (Protected Geographical Indication). 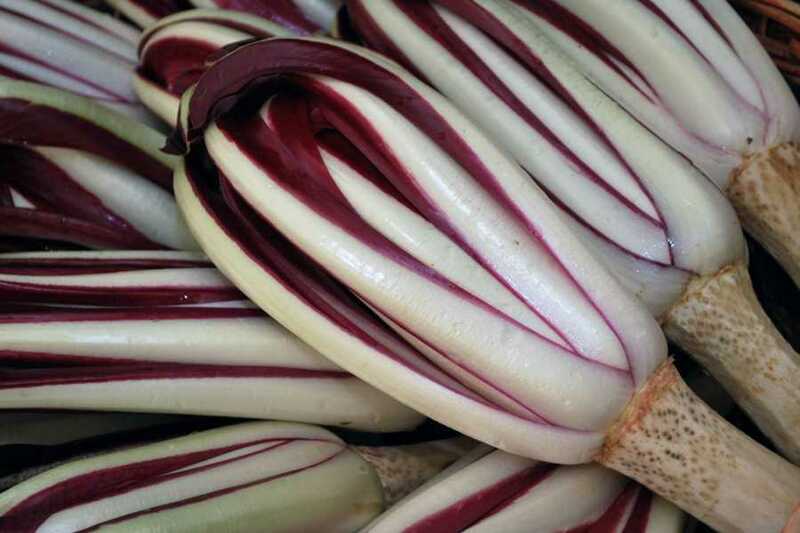 There are 5 varieties of this radicchio, all with a different taste and colour: from the intense red and slightly bitter Radicchio di Treviso, to the sweet and delicate red and white striped Castelfranco’s radicchio. We will start our tour with the visit of a farm, to understand how much time and manual labour are necessary to transform the radicchio into a selling product. There you will have the opportunity to taste some dishes with Treviso red radicchio as the main ingredient and hear the explanation of some of the countless traditional recipes. The production area is rich in art and history, in fact, after that, we will move to Treviso, where you will visit the historical centre and time for a “spritz”. 11:45 Departure to Treviso and guided tour of the historical centre. The service is confirmed with minimum 4 places purchased; this is a shared day excursion. For a private service please contact us. Please wear comfortable walking shoes.